Malala Yousafzai and Kailash Satyarthi won the Nobel Peace prize in the year 2014. The U.N honoured them with the prize because they fought for the rights of those people who are supposedly the future of our country. Did they do all this just to be felicitated or to be honoured or to be recognized? I do not think so. They did this because they genuinely wanted to make the world a better place. There are not many such brave people who have overcome all the fears. Malala Yousafzai took the bullet on her forehead dauntlessly beacause to her the fight for the right to education of the girls living in Pakistan was more important than her life itself. We at WeHelpThePoor wish to encourage and support such valiant people. We believe that one person can stir an emotion but one person needs help to make this emotion reach out to the other people. Standing for something that is right, difficult to accomplish is an ambitious and onerous task. They need support , they need help. A task when shared becomes easier to perform. The children of our country need to be unchained from the clutches of slavery, trafficking, child marriages, illiteracy etc. Education is the key solution to all the social problems. Education gives the person the ability to make choices and decisions. Education is that fine line that separates the good from the bad. Education gives you power and confidence. Education sculpts you and through education you can sculpt the world. Education turns your dreams into reality. Education gives you a happy life. There are thousands of children who wish to go to school and out of these many of them are girls who want the freedom to be educated. The rural parts of India in this generation too deny the right to education to girls. Why should the girls be denied of this amenity? Just because they are supposed to look after the domestic chores so that they can look after their husbands satisfactorily. Marriage can wait but education cannot. Education is much crucial when compared to marriage. It is believed that an educated girl is egotistical. Education is not about the scientific, logical or analytical knowledge. Education also refers to moral knowledge. It teaches discipline and moral values. What makes education more essential is that it teaches the person the difference between what is right and what is wrong. Should the girls of our society be denied to freedom of making choices. If yes, then why? We live in the 21st century where the tussels for gender equality are notable. The rural areas where the practices of patriarchy are still eminent need to change. They need to realize that education of not just the girl child but of all the children is very important. We at WeHelpThePoor intent to promote education in every nook and corner of India. We aim to hold hands with the renowned social activists because we believe in working as a team with as much as support as possible. To achieve great things one needs to have a strong will power and a strong team who can stand by each other during bittersweet times. How many of us help others without expecting something in return? We humans usually have this tendency of selfish desires, but not all the time. We humans are social beings, we all wish to help the poor, but we hesitate to take the initiative and move forward to make a change. We just wait and wait and see if someone will come and wipe out this poverty and solve all the problems. Don’t wait for others; you can help someone even if you do not have a single rupee in your pocket. Helping a hundred people is not necessary for charity. Charity is all about doing as much as you can afford to do. When you do something for somebody genuinely, then that too is charity. One doesn’t need to be rich to donate. Business tycoons are known for being too charitable. “That’s because they’re rich, they can donate as much as they wish to. What will they do with so much of money anyway? “This is the common perception of the common people towards those rich people who donate. But that’s not the truth. These rich people believed in charity before they even knew they would get rich someday. By stating such things, we are not trying to say that charity will make you rich. All that we are trying is to make clear that you don’t have to be rich to give or for that matter, you don’t have to give money to charity. Calculations of time and money are not important in charity. The amount of enthusiasm you put in to make somebody else happy is something that is truly significant. The needy crave for your love rather than for your money. Like your own child craves for a part of your time to be his, in the same way, the orphans, the needy, the homeless crave for some emotional attachment. Taking out some quality time from the hectic schedule takes a lot of effort and a lot of sacrifices too. But then what is charity when you don’t sacrifice a part of your satisfaction to satisfy the person who needs you the most. Have you heard of the Santa Claus who distributes gifts to the children on Christmas Eve to make them happy? Have you ever thought of becoming someone’s Santa? In this country, we see children sleeping by the roads and on the footpaths. Have we ever thought how dangerous it could be? On top of that, they sleep with absolutely nothing to cover themselves. If we cannot take them home, we can at least offer them a blanket. That’s the least one can do. Now imagine if these kids wakes up in the morning with a blanket that you had covered them with, they will be astonished by your help and the reason for the smile across their face would be you. 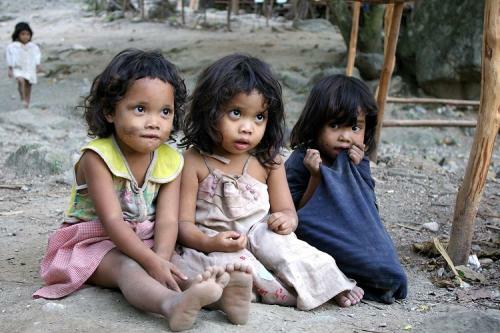 These kids do not need money. All they need is love and attention. They desire to be someone’s priority. They do not have any fairy tale wishes. They have wishes that every normal person has. You can fulfill these wishes if you really want to. Join us and make these kids’ wishes come true! Have you ever seen a beggar or a child going around people at bus stops, railway stations etc asking for money or food? Well you must’ve because India is a country that has the highest poverty rates and hence such scenes are too common. The question now is not if one has come across such people who are in need of some sort of help. The question is how many times has one helped the poor without hesitating even for once. There are times when I personally have tried to ignore the people who might have badly needed my help but I deliberately ignored them. Why do they not work and earn instead of beg I reasoned my reluctance. And then the next thought that would cross my mind would be the answer to the question. We all have parents at home, teachers at school to support us and guide us. We have certain people in our lives who are always there for us to help us. Be it academically, financially, emotionally. But what about those children on the streets who are forced into begging, tortured if they do not abide by the subduer. The answer lies in the explanation itself. Guidance is the best charity. There are times when people get irritated and frustrated with these helpless people. They have a heart and even they hate what they do. But do they have choices like we do.Money is a far off issue. What they first need is care, love, support and nurture. WeHelpThePoor aims to provide guidance and support to those who need it the most. Our goal is to make the people who are looked down, those who are left on the streets to their fate and those who are not considered as a part of a society to stand up for themselves. The task we have taken onto our shoulders is difficult we believe but if there are numerous shoulders to take up the responsibility of helping these needy people to become independent, we are sure to have a glorious future. Sharing makes the most difficult task simple. And the easiest of things one can do to help the needy is by just sharing their luck. Another thought that comes across is how you would be benefited by helping others. “Every action has an equal and opposite reaction” , they say but the action of giving or for that matter not every action’s reaction can be believed to be instant . Likewise good things take their own time to arrive at your threshold. All we need to do is not expect for benefits while sharing our luck.Sharing your luck will never go in vain because what goes around comes around.